The term E(RM) - Rf is often called the market risk premium because it is the risk premium on a market portfolio. The slope of the SML, the difference between the expected return on a market portfolio and the risk-free rate. 1. The pure time value of money. As measured by the risk-free rate, Rf, this is the reward for merely waiting for your money, without taking any risk. 2. The reward for bearing systematic risk. As measured by the market risk premium, E(Rm) - Rf, this component is the reward the market offers for bearing an average amount of systematic risk in addition to waiting. 3. The amount of systematic risk. As measured by (3,-, this is the amount of systematic risk present in a particular asset or portfolio, relative to that in an average asset. By the way, the CAPM works for portfolios of assets just as it does for individual assets. In an earlier section, we saw how to calculate a portfolio's (3. 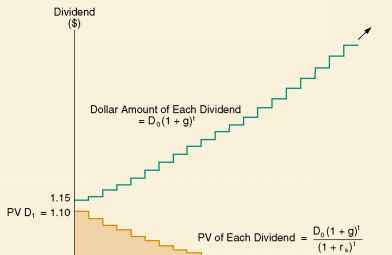 To find the expected return on a portfolio, we simply use this (3 in the CAPM equation. Figure 13.4 summarizes our discussion of the SML and the CAPM. As before, we plot expected return against beta. Now we recognize that, based on the CAPM, the slope of the SML is equal to the market risk premium, E(RM) - Rf.